I’ve been fishing since I was about 8 or 9 years old, my mates and I would go down the local River Brain in Witham in search of anything that would eat our maggots or bread. It wasn’t until 1991 when I caught my first “proper” carp from Silver End Front Pit and this is when the carp bug really took hold, I’ve always fished as much as I can since that point. 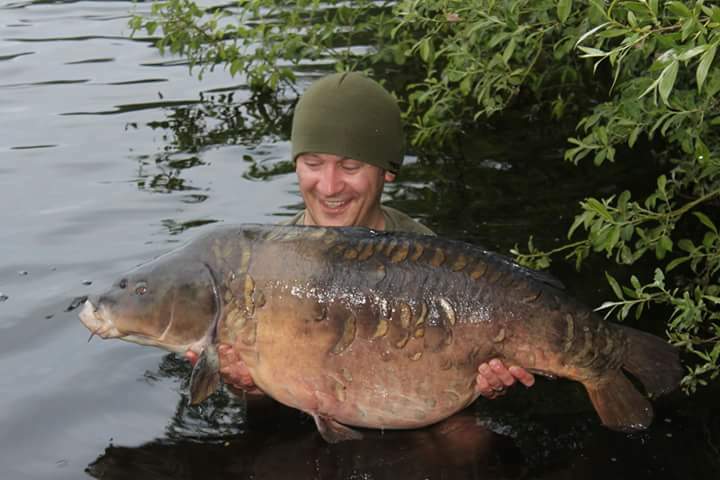 Over the years I’ve fished a lot of the local club lakes and syndicates, I also enjoyed a few years back and forth to Cambridgeshire and it’s beautiful gravel pits. I work full time and have a busy home life so making the most of my time on the bank is paramount, I usually only fish weekends with the odd midweek overnighter here and there. I started using the Tuna & Krill last season, I was fishing an extremely tricky club water at the time and managed to land two of the lake’s most sought after commons within a month! This proved the bait’s worth to me in a big way, with the correct application and rigs it can really unlock doors, when getting bites is tough going. I’ll be concentrating my efforts on a couple of club waters this season and am massively looking forward to being part of Eclipse team whilst doing so.